The Cultivate Shop is offering a big sale for Black Friday. The prices below reflect current sale prices. In Stretched Too Thin, I write about how transformative it is to set goals and then work toward achieving them. 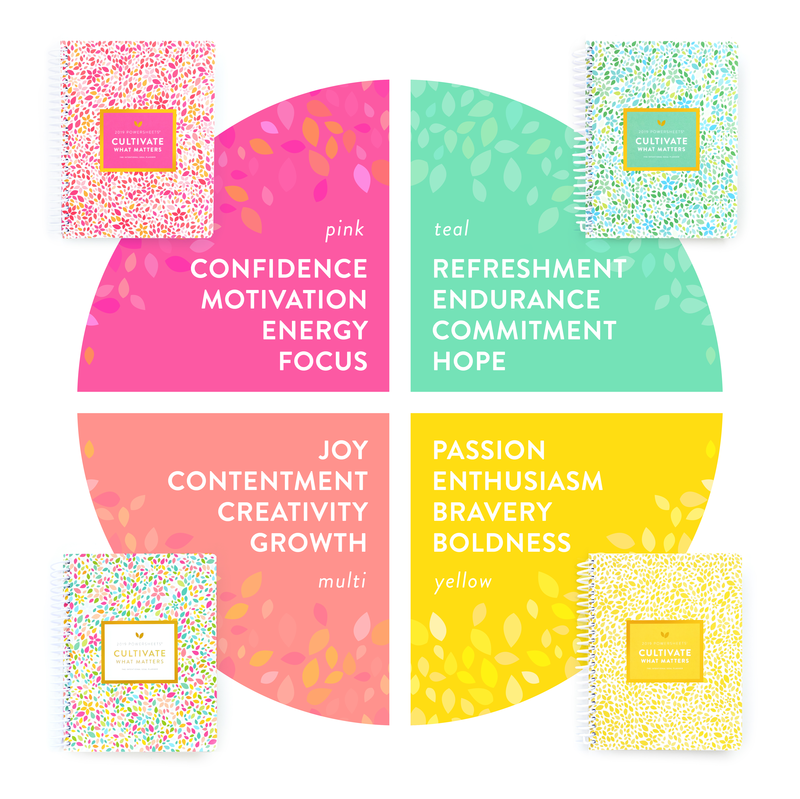 If you are someone who likes the idea of goal setting, but the process overwhelms you, I highly recommend checking out the PowerSheets® Intentional Goal Planner. I have used this the past three years and LOVE it. PowerSheets have helped thousands of women live out what matters—what lasts. (Affiliate links used in this post). PowerSheets are for you if you want to uncover and organize your priorities, simplify your schedule, say “yes” to the right things, find clarity on what matters to you, clear away distractions, stay motivated on your goals, stop wasting time, and make real progress on goals that last. Below I have outlined all the products in the PowerSheets collection (some copy taken from the PowerSheets site to make sure everything is covered). They just launched this week and are selling like hotcakes, so don’t delay in ordering your products. Over the next year, I am going to be sharing a lot from my PowerSheets goal planner, so this is just the beginning. Our signature PowerSheets Prep process that will guide you to uncover the right goals for your season of life. 12 full months of goal-setting worksheets to help you make big picture goals a reality and embrace little by little progress. 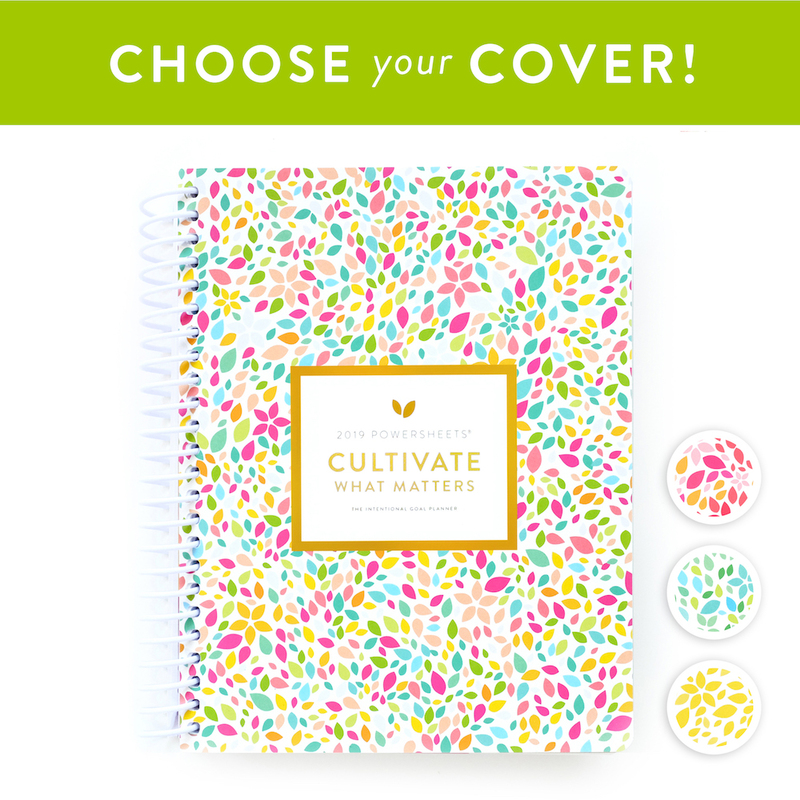 Additional details: 183 pages, dated workbook with January 2019 start date, 8.5×10 inches, your day planner’s best friend! All for $58! That’s only $4.83/month—like 2 cups of coffee. A proven system that actually works. Guided PowerSheets Prep process walking you step-by-step in uncovering your unique goals and path. 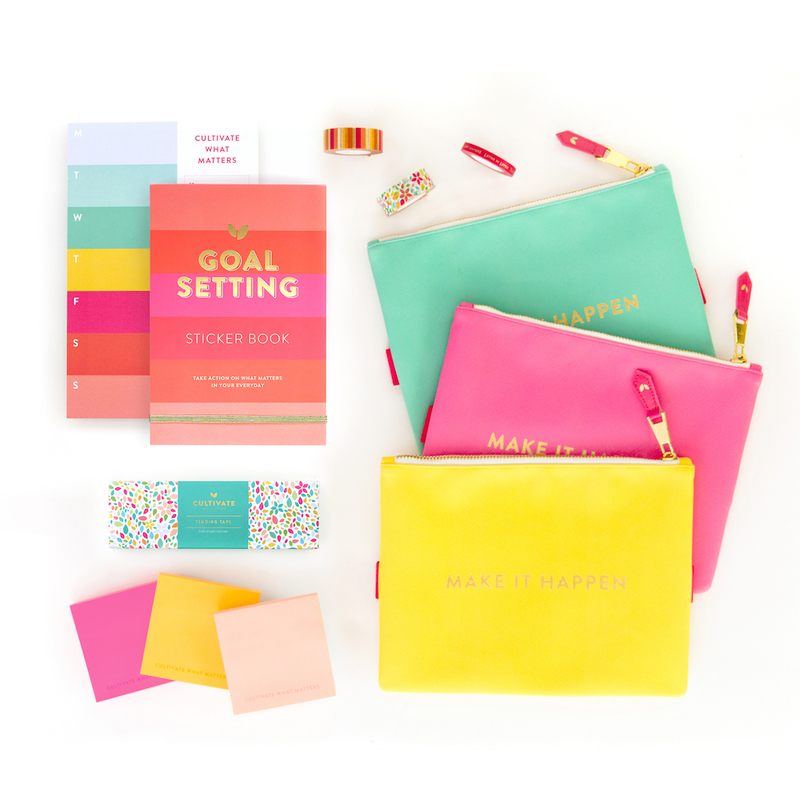 6 months of goal-setting fun, including: monthly goal pages and signature Tending Lists to help you make big picture goals a reality and embrace your little by little progress. Teaching and tips from Lara Casey on every page so you stay motivated and on track—like having a coach in your pocket! Wildcard pages help bring your goals to life! These meaningful worksheets allow you to customize your PowerSheets in a way that work for you. 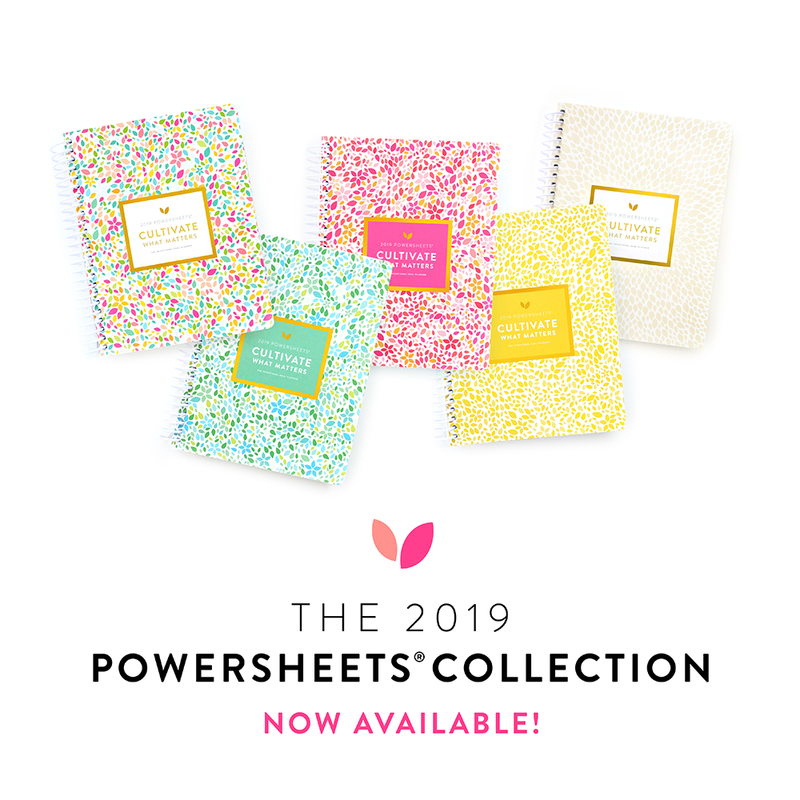 Each pack includes: • 24 colorful worksheets to put in your PowerSheets with Tending Tape • Including: 1 Perpetual Calendar, 12 Monthly Calendars, 2 Organize + Declutter pages, 2 Self Care pages, 1 Reading List, 4 Financial Check-Ins, 2 Relationship Tending pages • Measures 6 x 9 inches to fit perfectly on Wildcard Pages in your PowerSheets! 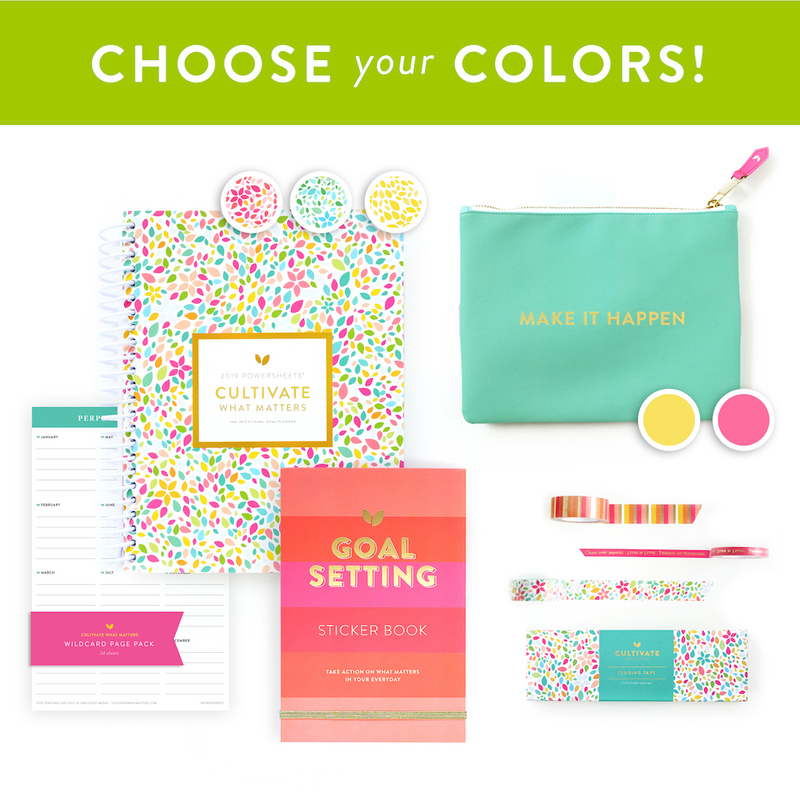 Mark what matters with the brand new Goal Setting Sticker Book. 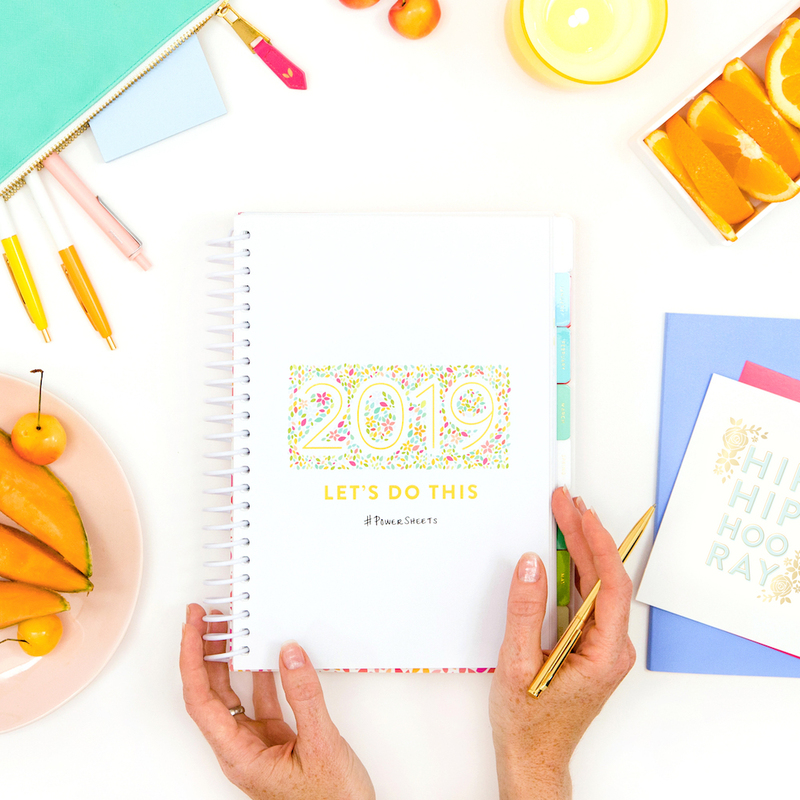 Use stickers in your PowerSheets, day planners, and journals to remind you of important dates, adventures you want to have, and what matters most. Finally! 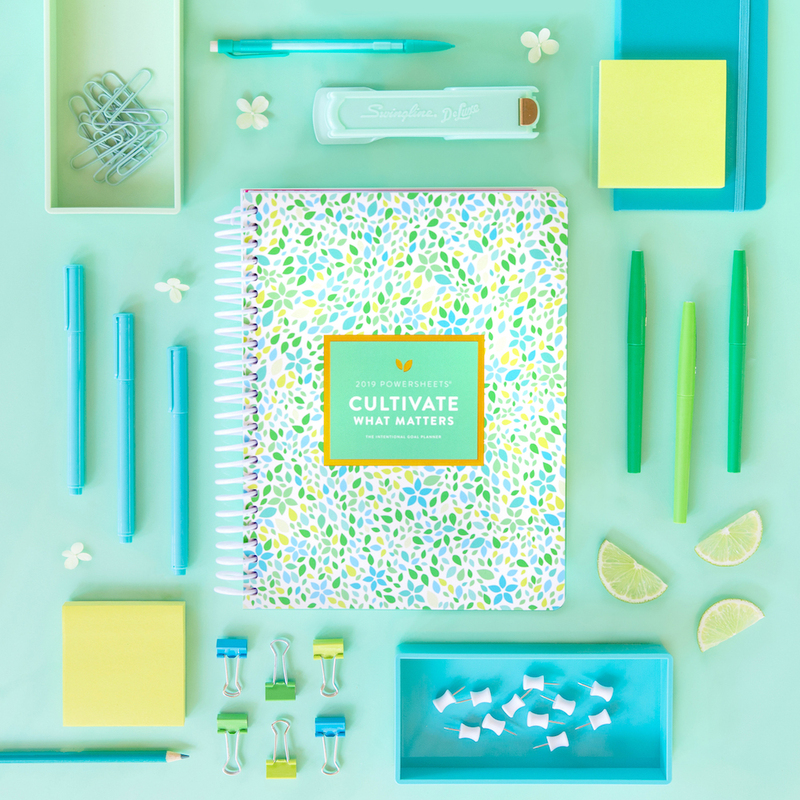 A place for all of your favorite accessories—pens, highlighters, Cultivate Sticky Notes, and Tending Tape! The built-in stretchy band allows you to wrap your Zipper Pouch around your PowerSheets, journal, or day planner! • Choose from three colors: pink, yellow, and teal! • Gold zipper with goil foil stamped zipper pull • Measures 9.25 x 7 inches • Beautiful, durable design • Have fun! Mix and match with your PowerSheets cover of choice.